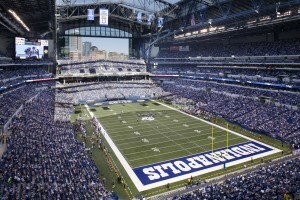 Everyone knows when it’s football season in Indianapolis. Excitement accompanies blue and white jerseys everywhere you look. 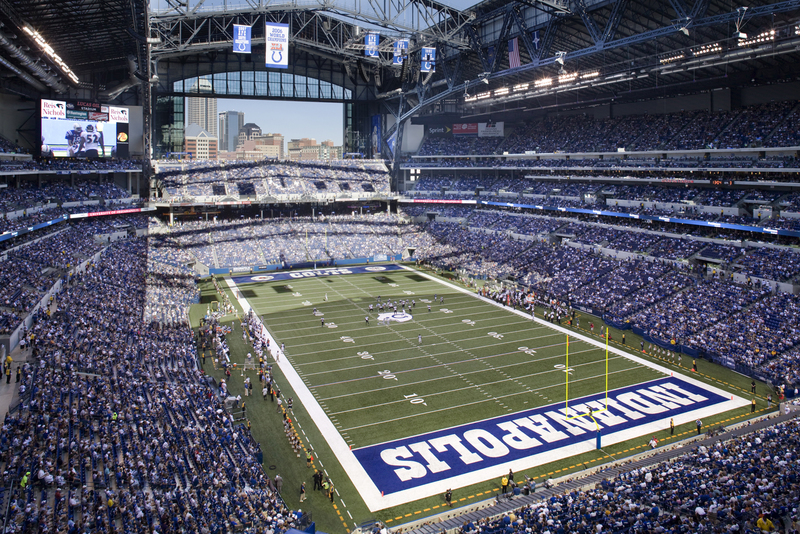 THE FAN’s association with the Indianapolis Colts goes far beyond simply carrying the games and being the flagship for the Colts Radio Network. 107.5/1070 THE FAN’s local prime time shows are the place Indy gathers each weekday to hear scoop about how the Colts did in their most recent game or season, how they’re preparing for their next. And these same personalities are heard all throughout game day broadcasts, too! Pregame coverage begins three hours before kickoff as Big Joe Staysniak and JMV co-host as the excitement builds. They are in-studio for road games, and on-location with fans tailgating prior to home games. The game’s simulcast on 107.5/1070 THE FAN with sister-station HANK-97.1FM, the play-by-play is handled by local broadcasting legend Bob Lamey. Though now simply the voice of the Colts, Lamey’s storied career has mostly been at 1070 AM in roles as the Sports Director, as well as play-by-play of the Indiana Pacers and minor league hockey, the Turn 4 reporter for the Indy500 and as the original announcer for the Colts following their move from Baltimore in 1984. Fans appreciate his passion for the team while describing the action. The postgame call-in show is hosted by THE FAN’s Greg Rakestraw.